Small modifications to the original LEGO Technic models, which improve functionality according to his viewpoint. 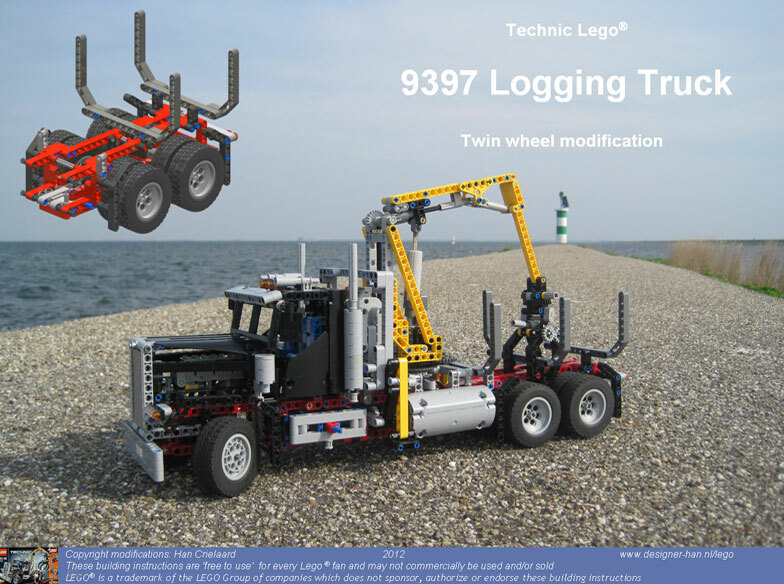 This time he presents modification instructions for Twin Wheels and double differential unit on the rear axles (2nd and 3rd axle) for the 9397 Logging Truck, while keeping the original wheel width. As usual you can download the professional looking PDF building instructions that Han prepared, here. This 'Lego Artist' has some of the best MOC's out there. Any of his models are a great build and sometimes (All! ), are very good designs.